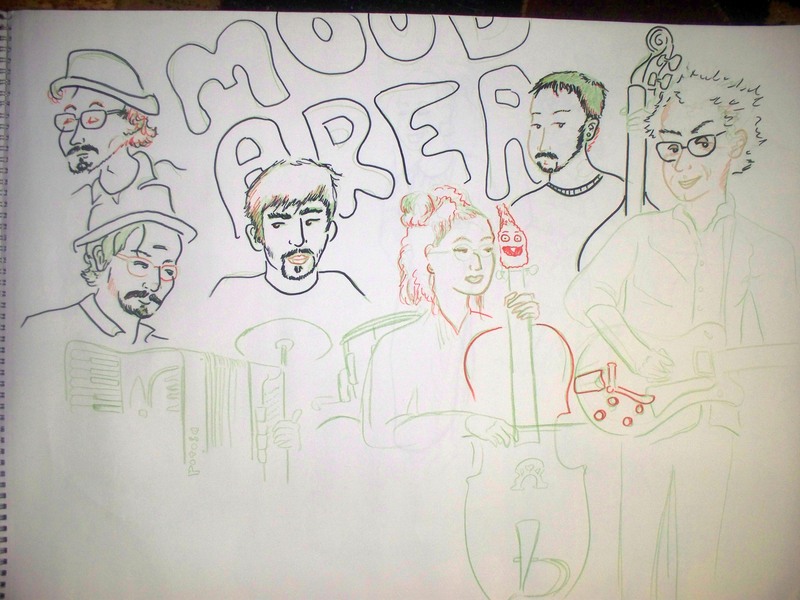 Mood Area 52, delightfully quirky, tango, jazz, country and experimental, real kitchen sink music. This fun band reminded me of Paper Scissors… their keyboard player played funky clavs, wurlitzer and B3 sounds… They played “National Anthem” from Radiohead. A very impressive cover of “Sail” by Awolnation. I think that is an excellent song that is not excellent when performed by the original artist. They also played some original funky reggae. Their singer was so beautiful. A joy to listen to and a delight to draw. Great band. 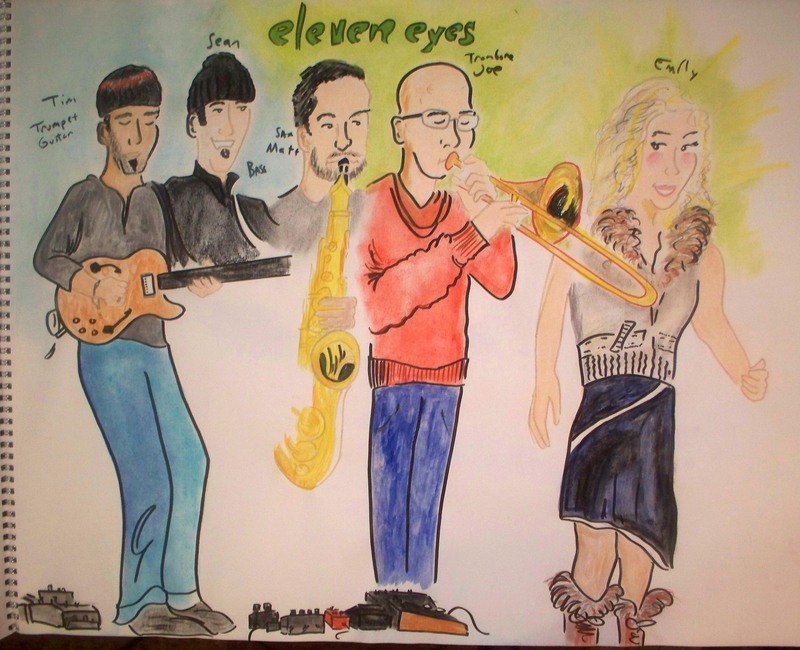 Eleven Eyes. Their website is not up to date. 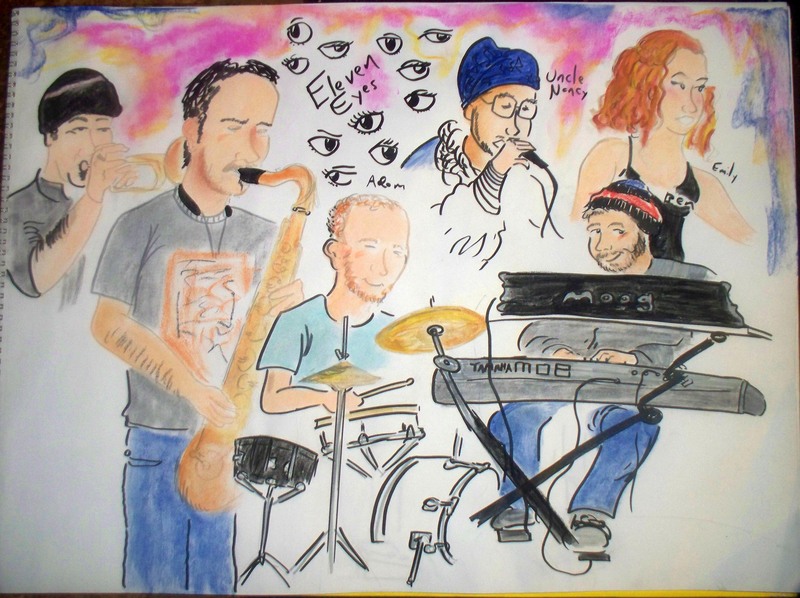 there are photos of people not in the band, no photos of Emily, and it says there is a turntable player (there wasn’t tonight) but oh well, websites can be hard to keep up to date. Their music is fast, funky, horny and fun. Reminds me of Ulu and Brazilian Girls. They had a guest “Uncle Nancy.” Who I saw years ago play with his band “The Family Jewels” in Oakland. I didn’t take it, but it shows a smidgeon of how awesome they are!